WhatsApp is one of the best communication apps on the planet that’s available for all platforms. It allows you to make calls, group chats, send messages, photos, videos and any other files. But sometime may you need to transfer your data to a new device. 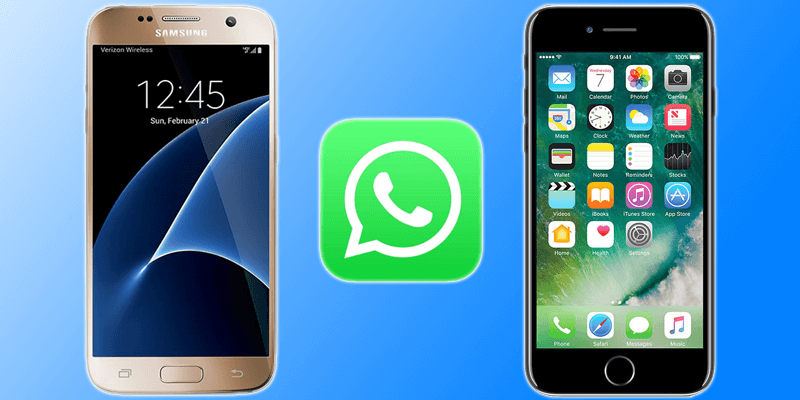 Here are 3 convenient ways for you to follow in order to transfer WhatsApp messages from Android to iPhone. You can easily transfer WhatsApp messages from Android to iPhone by using Email Chat option. Go to ‘Settings’ and then click on ‘Chat Settings’. Click on ‘Email Chat’ from the drop down list. Select the Whatsapp conversation that you want to transfer. A window that reads “attaching media will generate a larger email message” will pop up. You can click on ‘Attach Media’ or ‘Without Media’. Add in your email and then tap ‘Send’. Now you can open your email from your iPhone to access all of the messages that have been transferred from your Android WhatsApp account. This method will take time because you’ll have to email messages from each contact at a time. So, if you’re planning to transfer a lot of your messaging history then it is better you don’t use this method. Backup your WhatsApp messages from your Android device. Go to ‘Settings’ once backup is complete. Tap ‘Chat Backup’ from the dropdown menu. Uninstall WhatsApp from the Android device. Install WhatsApp on your iPhone. Use the original phone number for registering the WhatsApp account. A pop-up window will tell you that backup of messages was found. All of the messages from the Android device will start to be transferred to the iPhone. After you complete all the steps above, the WhatsApp messages will be transferred on your iPhone or your iPad. You can also use the Backuptrans Android iPhone WhatsApp transfer software. The ‘Backuptrans Android iPhone WhatsApp Transfer +’ will need to be downloaded and installed on your PC or Mac. Launch it and connect your iPhone and Android devices to the PC through USB cables. Agree to “Backup My Data”. Don’t give it your password. From your PC, go to your Android device. All of your WhatsApp conversations on the device will be displayed. You will need to Right-click on the name of the device and then select “Transfer WhatsApp Messages from Android to iPhone”. Wait for the process to complete and you’re done! Which of the three methods to transfer messages from Android to iPhone did you try out? Let me know.